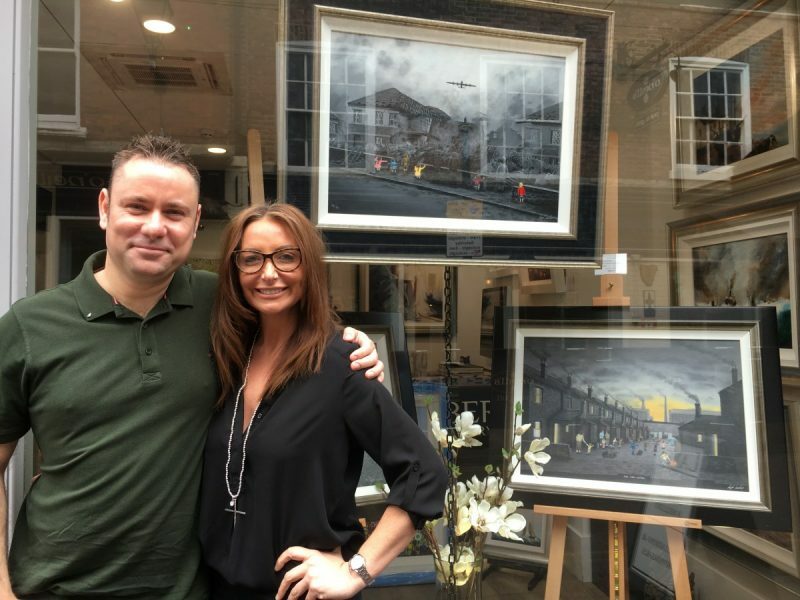 Acclaimed artist, Leigh Lambert, is one of the art-scene’s hottest painters with a style that’s easily identifiable and harks back to the days when times were hard, but life was good. Simpler. 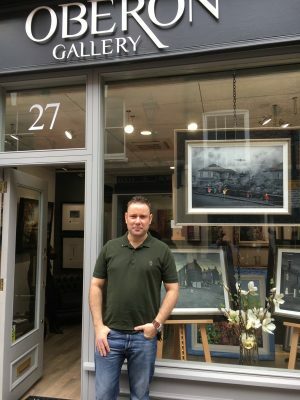 Dluxe LEICESTERSHIRE & RUTLAND caught up with him ahead of his first-ever exhibition at Oberon Gallery of Leicester to talk about how his working-class roots have made him a world-class painter. 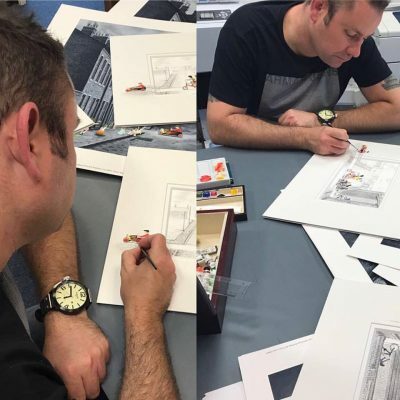 KU – Your art is heavily inspired by your upbringing in Newcastle, what was it like growing up there? LL – I had a fantastic childhood, I couldn’t have wished for more as a child. Newcastle is a really hard working city. My family hailed from working class backgrounds: my Grandad on my Mother’s side was a coal miner all his life and My Grandad Lambert on my Dad’s side worked in heavy engineering in the west end of Newcastle. Everything that inspires my work is my upbringing and my family’s roots down to a tee. KU – With those types of heavy engineering jobs, people don’t think of that as a creative industry but a lot of the time you’re fashioning stuff out of heavy metal, it is a different type of creativity. Would you say that any of your family were particularly creative, did any of them have an artistic hobby or passion? LL – My Grandad Lambert, he was quite creative, he was good with tools, good with his hands and good with woodwork. It was great growing up with him because he used to build us all sorts; he used to build us planes and boats out of wood. Looking back, he was a bit of a genius for what he created and what he made. I would struggle to create what he created out of wood myself. KU – If you were looking back, which we are now, is there one particular summer, one particular memory that you have a fondness for that maybe summarises your childhood in Newcastle? LL – I wouldn’t say one particular summer or time. I think it was just really a happy childhood. I have really fond memories of the days out we used to have as a family, going down to the Northumberland coast, the stately homes across the lakes, Hadrian’s Wall and just around Northumberland in general. Whenever I visit those places now as an adult it always brings back fond memories and they will always have a special place in my heart. Places like Bamburgh beach off the Northumberland coast line, Tynemouth and Whitley Bay. KU – If you were talking to your younger self right now, what advice would you give yourself? LL – I took a bit of a gamble in my artwork; it was never set in stone that I was ever going to be given a career break at any time. I think if I were to go back to myself as a teenager leaving school, I would say it would have probably been better to have a career to fall back on if the art hadn’t work out. If my career hadn’t taken the path it did, I think I might have been left wondering what to do. KU – What was the process, what was the timeline to being a talented amateur-just doing it because you love it- to suddenly becoming a full time artist? 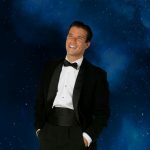 LL – Looking back, comparing it with other artist’s careers, the timeline from developing my artwork to getting a career break was relatively short. When I left college, I was competent in watercolours and some other mediums and I was classed as professional then as I sold work. I received my very first commission at the age of 19, so that was the start. That was just pure enjoyment, it was just merely a hobby after college and after work. It wasn’t until my early to mid-20s that the realisation came that it was going to be a hard business to make a living from. So, I tried to broaden my skills in other sorts of mediums – oil paints, pastels, watercolour even further. That was when the realisation came that the best way to engineer any sort of career break was to paint something that had never been painted before. I was competent with a paint brush and I was selling work but it was just finding that niche, I found that incredibly difficult because there are millions of artists all over the world painting all sorts of subjects and to stand out was very hard. I thought ‘I’m not going to give up’, it’s something I really wanted to do and I thought it doesn’t matter what I’m doing in life – work wise, I’m always going to paint. So I kept going and kept thinking of ideas, trying them and going back to the drawing board if it didn’t work and then over the next few years up until the age of 30, that was the way life was. It was developing different styles, I finally settled in oil paint, which I thought ‘this is my paint, this is the medium I’m really happy with’. If I was ever going to get a break, this would be the best medium to try and develop. As it happens in the end, my break came unexpectedly at the age of 30. It was a time when I was low in confidence and I was starting to wonder if it was ever going to happen. It took me by surprise a little bit but I still feel really lucky to have been given that break so young. I felt as though I was really ready for it. KU – So what was the break that you’re talking about, what was this thing at 30? I was selling original landscapes in oil in the paints I use now just around galleries around Warwickshire, but they were starting to fetch more money; they were bigger and the skill level was improved. When I moved away from Newcastle, there were times when I thought I would like to paint for myself. Things to do with my childhood, things to do with where I grew up so I developed some sepia tone paintings of the Tyne Bridge in Newcastle and the construction in the 1920s. Because I hadn’t found the right outlet or given it a real break at the time, I was a little bit reluctant to get any new ideas which I had in my mind onto canvas because I thought I’d like to find an outlet for them first. I felt as though I had painted a lot of different styles in different mediums that hadn’t worked. I was stuck with a lot of paintings in storage that I couldn’t do anything with. People had no sort of interest in them, galleries weren’t enthusiastic about them. I had plenty of ideas in my imagination, I thought I want to find an outlet first, but the best idea was to get any idea onto board if I was going to progress. As it happens I met another artist, a well-established artist who I knew was also from Newcastle, it was just a chance meeting with Jeff Rowland that he recognised I had ability and he recommended the Tallantyre gallery in Northumberland that I should try. It was a gallery I though was beyond me, that I wasn’t quite there yet. It was a really highly regarded gallery and I thought they wouldn’t entertain my work at the time. Jeff gave me the confidence to go and talk to them. He said, “If your subject matter’s not quite there, they will work with you and nurture you”. I had one idea up my sleeve so I thought this may be my only chance to get into a top class gallery. Jeff phoned the gallery and said I’ve got this lad that wants to come and see you but his subject matter might need a bit of work. Jeff’s advice was to just ‘go and see them; they are lovely people and whatever they tell you to do just roll with it. They’ll get you moving for sure’. So, I went up and had a chat with them and they were lovely people and I said, ‘I’ve got this one idea which I want to paint and I described it’. I said If I get this one painting onto canvas and come back and see you would you take a look at it and he said sure, it sounds different. KU – What was this one idea? This one idea was a painting of a backdrop of Swan Hunter, a Newcastle ship yard in Walls End in the East End of Newcastle. I painted figures in some of my earlier work, in sepia tone works and I thought about painting figures into these scenes, but keep them in colour. I did have ideas of maybe putting a couple of lads in Newcastle shirts just to help them stand out. It was just an idea in my mind at the time, but I thought if I’m in with a chance of getting into Tallantyne, I’m going to go to town with this painting. I’ve got nothing to lose, if they don’t like it, it’s ok, it’s a bit of a setback and it was just a matter of going back to the drawing board and starting again which over the years I’ve been used to. As long as I had the chance of putting my foot in the door with a gallery like Tallantyre, I will always try. It was a huge boost to my confidence and as I said earlier with the gallery being highly regarded I thought it might be a bridge too far for us. It just happened that I got this idea of the ship yards, black and white, this really gloomy looking scene. The huge oil tank that had been under construction over shadowing the street and these group of young children playing in the street. I presented it to the gallery manager, Martin Tallantyre and he just loved it, he said we like it, we’ll take this one off you now and we’ll frame it up and display it. I refused to get too carried away too early but I thought it was fantastic; it was a foot in the door in the North’s top gallery. I travelled back south, as I was still living in Warwick at the time and I got a call the next day at midday from Martin to say he had sold the painting and to just keep going, keep painting in that style. He said when you have two more paintings come back up because this had sparked a lot of interest. There are one or two clients already waiting here for you to see your next ideas. It just kind of snowballed from there. KU – Are you still stocked up in that particular gallery? Yes, I still supply them with originals. They tend to deal with originals only although they have sold my prints in the past. It’s an originals-only gallery, which is the way they have always worked since the 60s. KU – How would you describe your style? What would you say is the Leigh Lambert style now? LL – It was billed by the Tallantyres as (I quite like this) “Retrospective urban life with a quirky twist”. That hits the nail really on the head I think. KU – What about all this stuff you have done before, all these experimental pieces and the stuff that you didn’t sell at the time. Are they in a vault somewhere? The thing with your work is they are appreciating in value, What about the stuff you did previous to finding the niche, where is all that? Since I got my break, I have sold quite a few since my name became more established. There is still one or two about. When I first started my career in the late 90s, when I left college, I was painting very highly detailed water colour landscapes around the local areas, places like Warwick Castle and half-timbered medieval cottages round Coventry, Warwick and Stratford-Upon-Avon. I took prints of those and they were always quite good sellers, they would sell eventually from time to time, I would get calls requesting them. It was the other styles like surrealism that I branched into that didn’t really take off; I’ve got one or two of them left. I did keep a few. When I developed oils, I painted big bold Warwick castle scenes and I did keep those for myself. There is not a great deal, I wouldn’t say there’s a garage full, I’d say there is maybe a handful. Leigh hand finishing the ‘Don’t Stop Me Now’ print. KU – Are there any artists that were or you still are inspired by? I would never say inspired by because I thought when I was pursuing my break I need to find a unique style and I thought it’s best not to take inspiration from other artists because I the key to getting a break was to not have any other artist in mind or any other style because I wouldn’t want people viewing my work in the gallery and saying that’s just like such and such or you’re inspired by him. I wanted to see my work in a gallery and say that’s a Leigh Lambert. 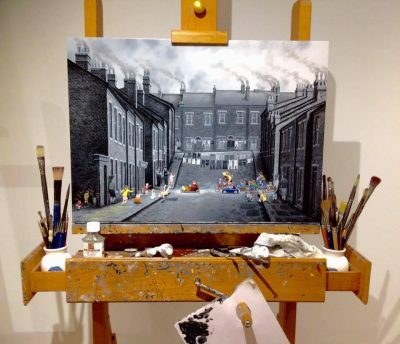 I do like other artists’ work – my friend Jeff Rowland, I love his work, we hit it off as friends as we are both Newcastle lads and artists, he’s been well established long before I was. Also, Alan Ingham, because it was similar to my watercolours when I was leaving college and I appreciated his skill level. I aspired to be as good as him. KU – How does it feel to be a successful artist, where your paintings are almost sold before the paint’s even dry? 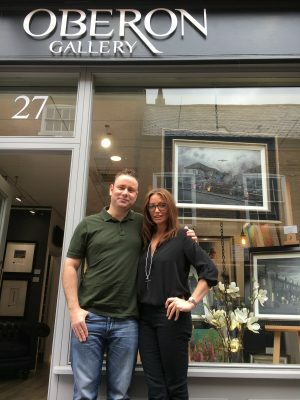 KU – Are you aware of any famous people owning your paintings or have you had a celebrity commissions yet? There are some well-known people who have bought my artwork. The most notable is when I first got my break with Tallantyre in 2009/2010, Steve Bruce (ex Manchester United captain), took an interest in my work. At the time, he was managing Sunderland. Being a Geordie lad from Hexham he took a lot of interest and he has quite a few pieces. Ben Cohen ex England rugby player also has some work. KU – You work in a garden studio, is that right? That’s not strictly true anymore. I own a townhouse in Newcastle, I use the master bedroom on the top floor which has sky lights. The natural light from above is good to paint in. The last three years I’ve worked from there. KU – Where does the idea process come from? Where does a painting start from? The majority of paintings are based on childhood memories, my experiences as a child but translated into the style of painting now. I didn’t grow up strictly in those backgrounds, my family did but we lived in a modern house in the 1980s. My family lived in back to back housing in the West End of Newcastle in Gateshead. What I’m finding now is I develop one idea in my mind and as I’m painting it maybe six or seven ideas will develop in my mind from this one idea. 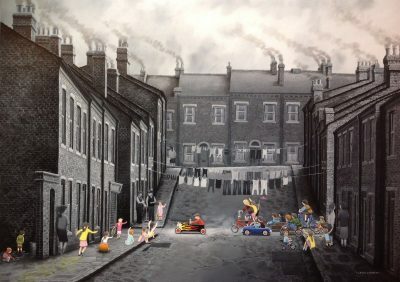 It depends on the sort of theme, like this particular idea I’ve painted from the original for this gallery “Don’t Stop Me Now” is a young lad having a race with his mates in a go-kart. It’s a throwback to when I used to paint my nephew in his little peddle car, the black peddle car with the flames up the side. KU – On average, how long is the process? KU – When it’s a passion it doesn’t always feel like work does it? KU – Showcasing your work to a variety of clients invites feedback and criticism, what is the most memorable piece of feedback you’ve had? I’m really lucky in that I’ve had a lot of positive feedback about my work. It’s nice to see the reaction on clients’ faces, especially with commissions that have brought their fond childhood memories to life, as it’s a really emotional time for them. Some commissions are highly personalised and to hear people say, “That’s fantastic, that’s just how it was” or “That’s the image I had in my head, you’ve portrayed that fantastically” is a privilege. KU –So if I wanted a commission, obviously it has to be in the Leigh Lambert style, you can bring in bits in from my childhood and interpret in your style? A lot of my commissions are highly personalised, people have said I lived on this street and they’ve provided pictures. KU – So it could be a Leicester street? It could be a composition. It could be any terrace street in the UK. KU – You’re on record as an avid Newcastle United fan, and seeing as you are showcasing here in Leicester, what do you think of Leicester City’s rise to become champions in the last 12 months? I think it’s absolutely fantastic what they’ve done. I think it’s really refreshing for football because no one expected a team like Leicester to do what they did in such fashion. I think people thought the Premier League title was always going to go to the Top Four teams. What is refreshing about Leicester is they’ve built the team on a shoe string, the old fashioned way the way it was done back in the day. KU – Is there a favourite painting of yours? Do you have one that has a particular sentimental memory or one that you couldn’t quite let go? No to be honest, I love all of them. It doesn’t matter if a painting is big or small, I always try and make each one a masterpiece in their own right. I know it’s impossible but if I could keep all my originals and have a huge big show one day, like a retrospective show that would be fantastic. KU – You’ve achieved great success and won many awards, what’s the proudest moment of your career so far? I wouldn’t say there is one moment, I would say the foundations of the success really. The way the break came about, the chance I took to get into Tallantyre Gallery and way I responded to the chance. The work I put into getting the chance. The Tallantyres made me feel like part of the family. They gave me my first sell out solo exhibition. 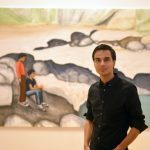 They gave my work a national level, they got me into the affordable art fair and sold a huge body of work – 25 paintings in 2 hours. I think that year from March 2009 – May 2010 set me on my way. KU – What was instrumental in your success was your friend Jeff, do you get involved with the next generation of artists? Have you got any advice for aspiring artists? Do you get involved with any local colleges? I’ve had a few chats with aspiring artists and I’ll always try to help any artists too. Just in the same way Jeff helped me. The most recent artist I had a chat with was at a show in Epping at the Artisan Gallery, a young girl aspiring to be an artist and the advice was to never give up on your dream. It’s not something in this industry where success is going to happen overnight. You have to work very hard at it and there is going to be ups and downs and have something to fall back on so you can at least earn a living. KU – What happens after the exhibition? Like any show, the plan is to go back to the studio and paint like crazy. The plan is to work with the publishing to get the upcoming book into publication and I always take the time in the summer to catch up on any commissions. I’ve got to look forward to the Autumn as I have to get to work on pieces for shows in the Autumn. KU – What would be your advice to people have never bought art? I’m lucky I’ve had a lot of people come up to me and say they’ve never really been into buying art but we’ve seen your work and it evokes a lot of fond memories, we love it and we’re going to buy a piece. This will be the first painting that we’ve ever bought seriously. My advice to any aspiring client is to go with whatever you love and that you’re not going to get tired of looking at on your walls. If it’s got meaning to you that’s great but if you love it that would be my only advice. People talk about investing, but I’ve also heard not to buy a painting for investment alone, buy because you love it. Leigh Lambert’s work will be available at Oberon Gallery, Loseby Lane, Leicester, LE1 5DR.